Later this year, BMW will launch a version of the X6 with the Two-Mode hybrid powertrain. STUTTGART -- BMW AG and Daimler AG will probably end their so-called "Two Mode" hybrid alliance with General Motors at the end of the year. "The dissolution of the joint venture still isn't certain, but it's probable," a Daimler spokesman said. BMW also says it doesn't want to continue the alliance. Two Mode is the marketing name for a hybrid drive system developed by BMW, Chrysler, Daimler and General Motors. Two different Two Mode transmissions have been developed, one for rear-drive vehicles and one for front-drive vehicles. The alliance was established in 2005. 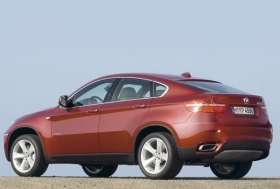 In a few months, BMW will launch a two-mode version of X6 SUV globally. A version of the Mercedes-Benz M class with the technology will be launched this year, but only in the United States. Daimler wants to avoid a major investment in aftersales and service for a car that it expects will have low production numbers. According to BMW and Daimler, this expensive system has no future. "None of the other hybrid development work in our company is based on the two-mode technology," a BMW source said. The German premium brands also are not sure whether to keep a separate hybrid alliance going. "We still haven't decided whether we will continue our cooperation with Daimler," a BMW spokesman told Automotive News Europe sister publication Automobilwoche. An end to the joint work on hybrids would be a blow to the companies' desire to cooperate more fully with one another in a variety of areas. It is technically easier and less costly when companies share in the development of new technologies such as alternative drives and lithium-ion batteries. Even purchasing can be carried out more easily. BMW and Daimler already work together on procurement in certain areas. While BMW seems reluctant to form partnerships in this area, Daimler has indicated that it would be glad to keep working with BMW on hybrids. BMW is contemplating new hybrid and battery technologies. "There have also been discussions with other manufacturers and suppliers," a spokesman said. Daimler is turning to modular hybrid building blocks with scalable lithium-ion batteries. They are based on the hybrid drive that was initially developed for the S-class and the 7-series upper-premium sedans in another joint venture with BMW and auto supplier Continental AG.